Satin Finish Texture Coated: A coated, single ply, medium weight drumhead. The Satin Finish is the thinnest and most durable coating ever developed. Unlike conventional coatings it resists chipping and it lasts and lasts and lasts. It has an amazing stick and brush response and is great for snare drums and tom toms. With Aquarian's "Sound Curve" collar design, the bearing edge finds its own spot in the curve. No wrinkles even with loose tuning. 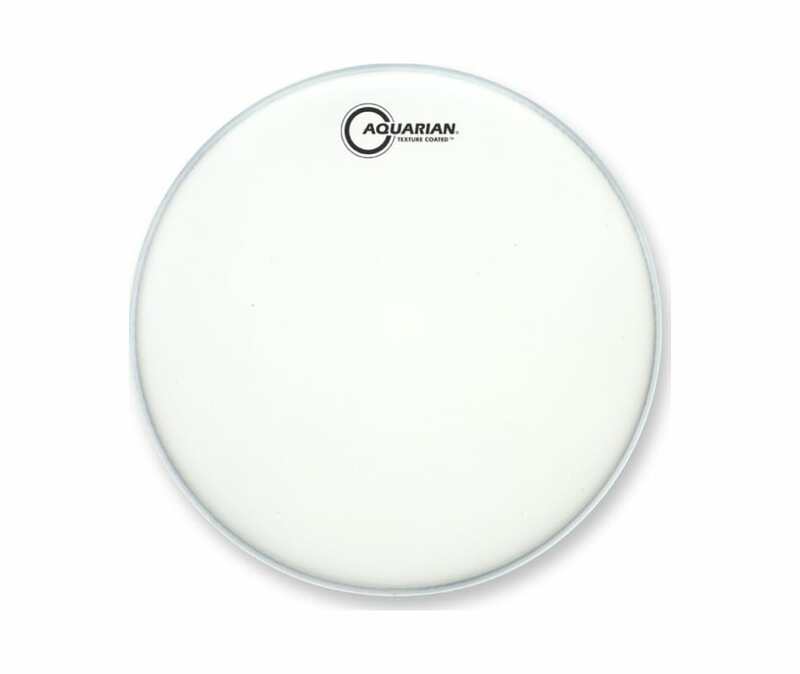 Aquarian drumheads tune fast and easy... every time! Due to constant vibration, conventional drumheads all have some degree of slippage inside the hoop, which results in de-tuning and lack of resonance and response. Aquarian's unique "Triple Locking System" provides drummers with previously unheard of advantages in resonance and playability.